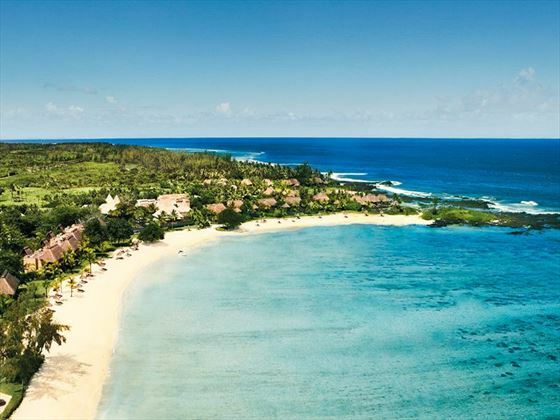 This boutique, lifestyle resort with an award- winning spa is located around a pristine horseshoe coral sand cove on the largely untouched south coast of Mauritius. 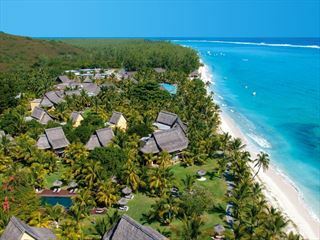 The 61 spacious suites and villas are set in 36 acres of fragrant, tropical gardens between the turquoise waters of the Indian Ocean and the vivid green sugarcane fields. The luxurious junior suites have either direct access to the beach or large balconies, whilst all 17 villas are located on the beachfront and have private pools. 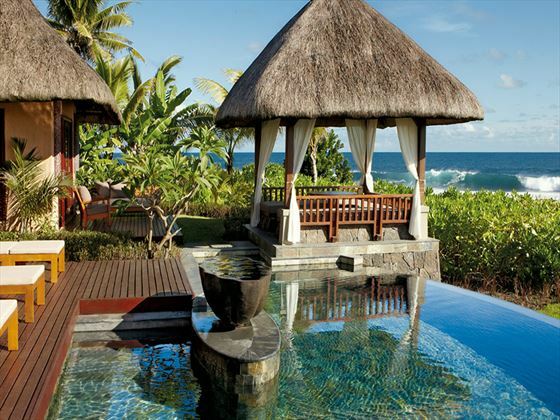 Junior Suites - The 44 Junior Suites are among the most generously proportioned in Mauritius. Designed to blend modernity with practicality, they’re housed in attractive villa buildings with four suites per villa. 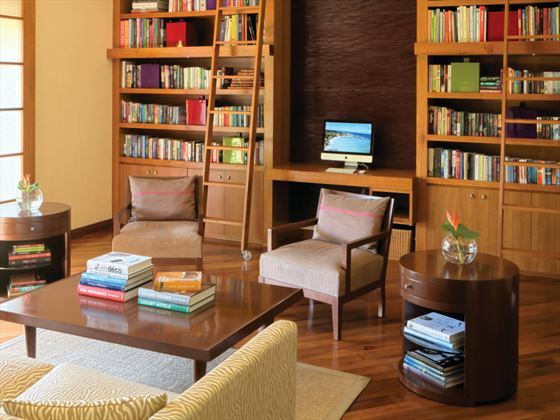 Like all guest accommodation at Shanti Maurice, the suites are equipped with plasma TVs, DVD players and broadband Internet access. Luxury Villas - The eight Luxury Villas have a temperature-controlled swimming pool, a garden and an enclosed courtyard with an outdoor rain shower and lounge beds. ’Sala’ pavilions, for dining or relaxation, stand in the garden, while the interior accommodation includes a large bedroom, bathroom and a separate dressing room with a walk-in closet and dressing table. 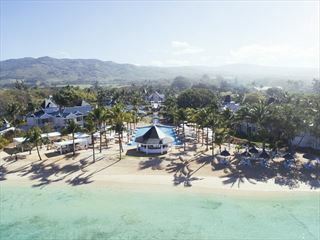 Between the still green mountains and the crystal-clear sea, the curved beach is the perfect place to curl up under a parasol with a good book, and a classic cocktail. 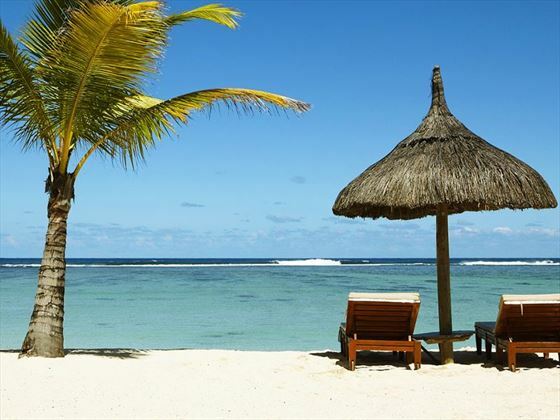 The beach is always tranquil, since we only offer non-motorised watersports, such as windsurfing, sailing, pedal boats, snorkelling and kayaking. Stars - Shanti Maurice’s new signature restaurant, defined by its fresh, contemporary Cape cuisine and wide-selection of South African wines. Pebbles - An international, all-day dining restaurant with an international menu, influenced by the flavours of India. Wellness cuisine is also offered for lighter, healthier dining options. Fish and Rhum Shack - Rustic beach-side dining celebrating the bounty of the surrounding seas, complemented by cocktails using rum from the local distillery and a selection of beers from the village brewery. 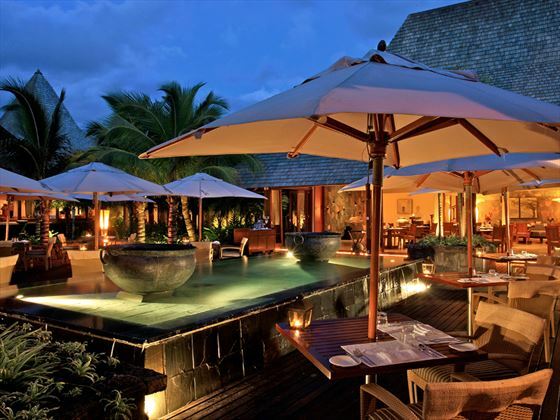 Red Ginger Lounge - The lounge bar is the perfect place for a pre-dinner aperitif or late-night cocktails, with views over the infinity pool and beyond to the Indian Ocean. 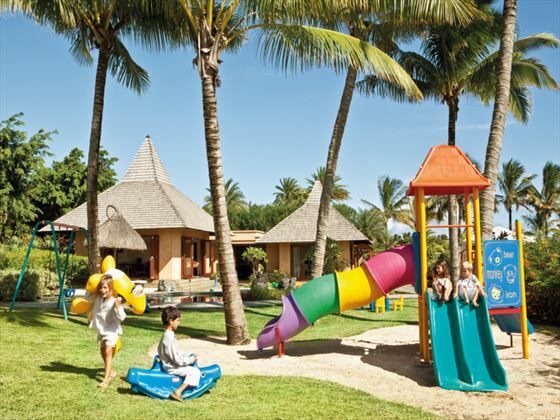 It also features Mauritian entertainment in the evenings. 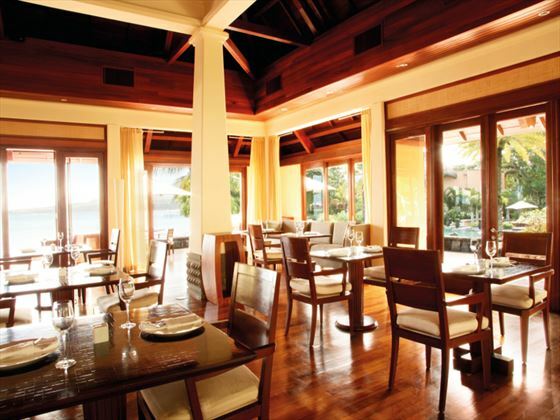 Beach and pool side refreshment service and 24 hour room service complete the dining experience.